The check out date must be later than the check in date. 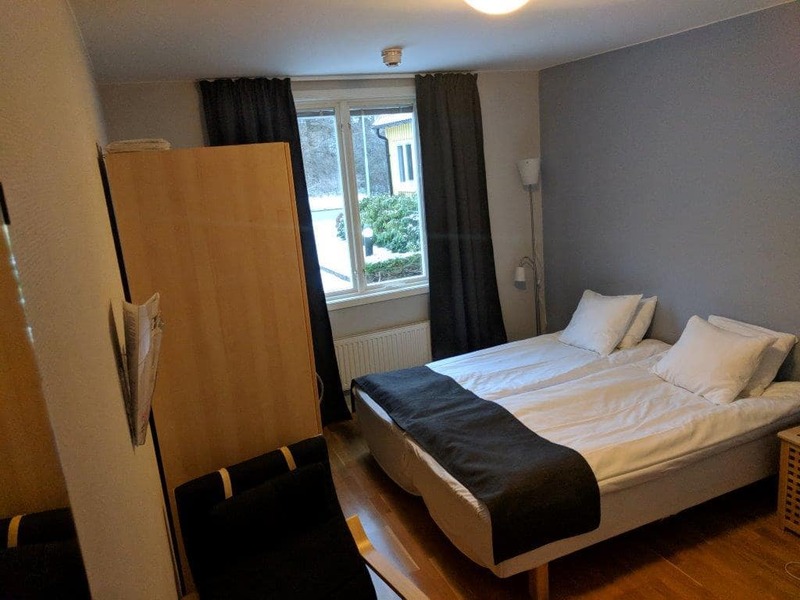 Double room with two beds that can be separate or togheter. 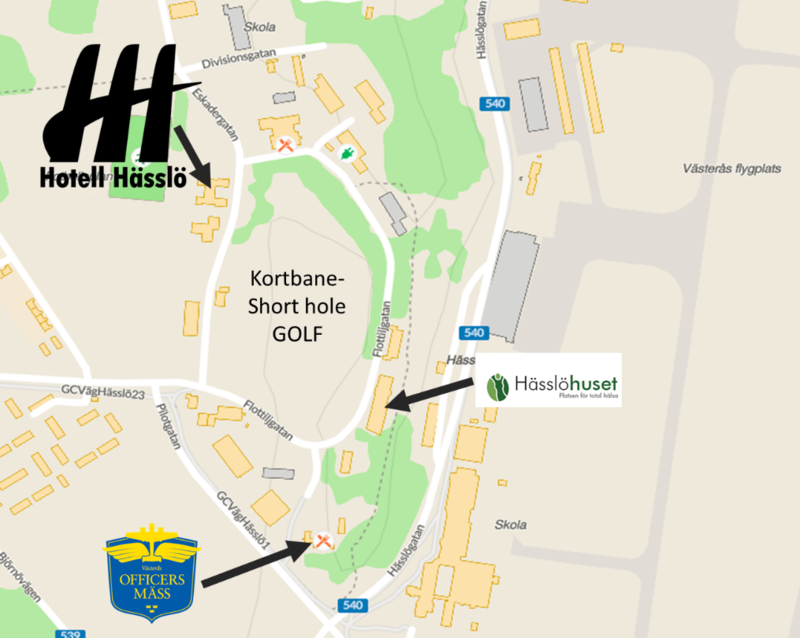 Hotell Hässlö is a local family-run hotel located by Badelundaåsen 5 km from central Västerås and 2 km from Västerås airport. 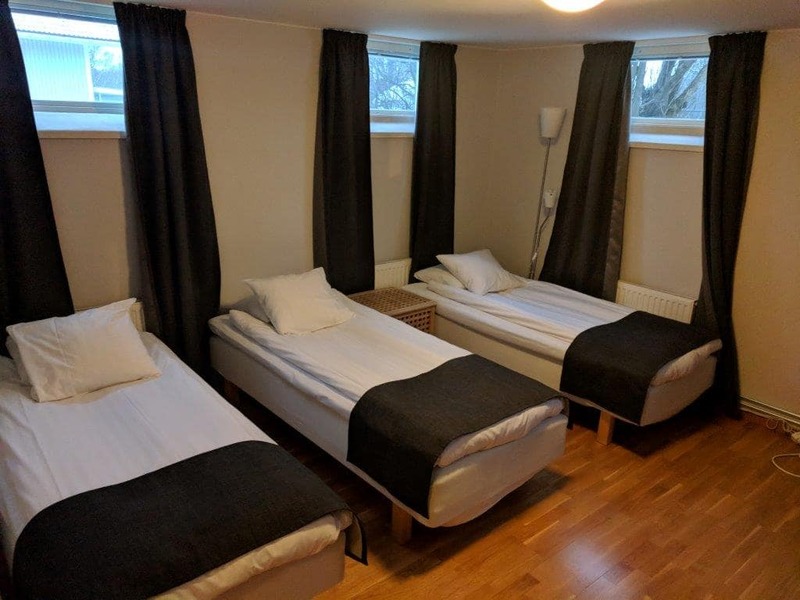 The hotel has 49 rooms and there are generous common areas with ping-pong room, billiards room, gym, sauna and a large TV / family room, which makes the hotel suitable for longer and short stays. 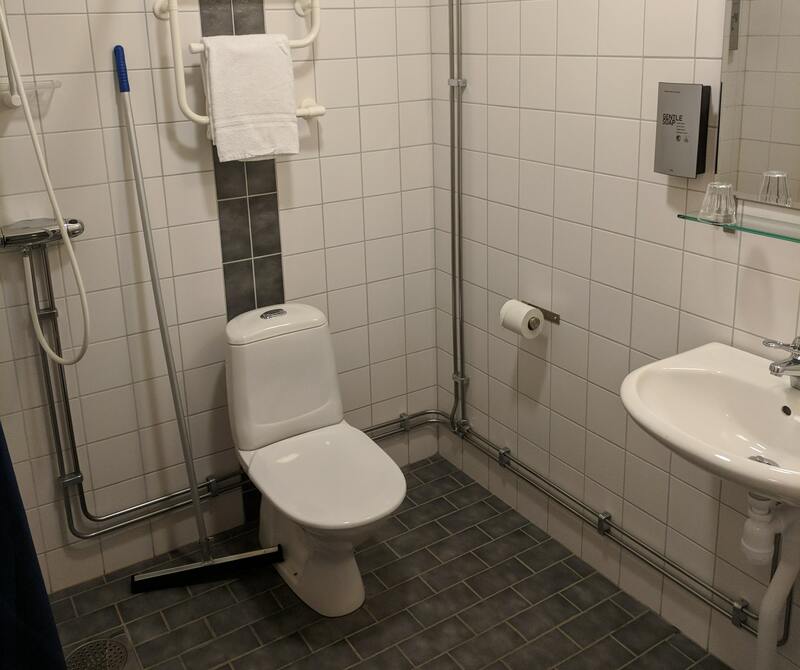 All rooms have private tiled bathroom, TV and a desk. We also have a couple of rooms dedicated for dog owners if you wish to bring your dog. 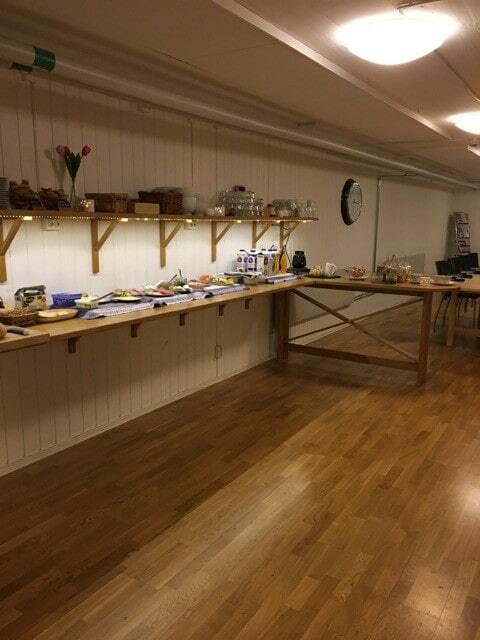 Meet your co-workers in a calm and inspiring environment! 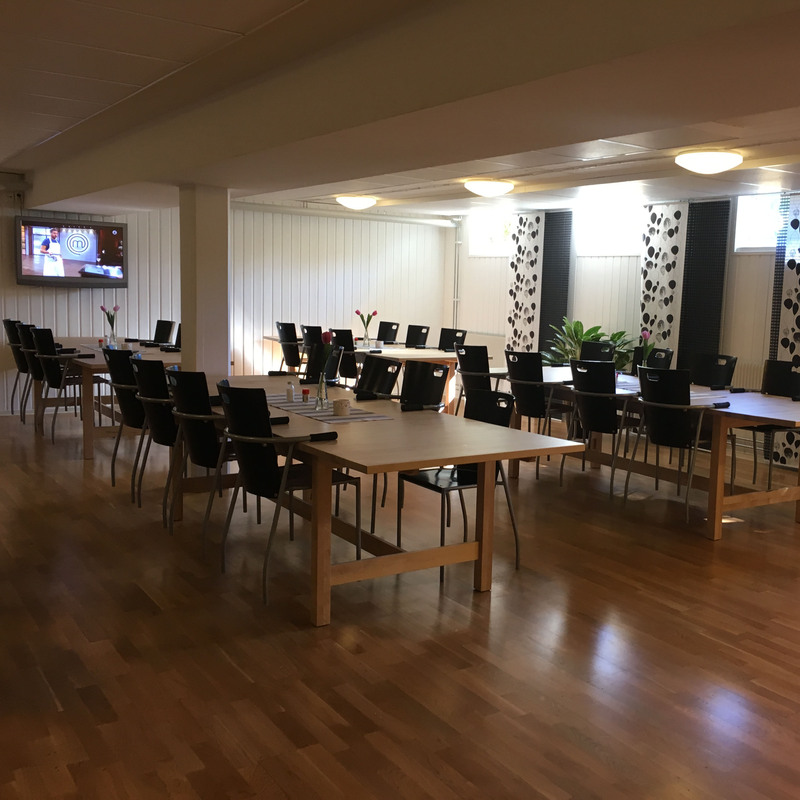 Are you planning a conference, kick-off or event for the employees?Together with us at Hässlö you can choose from a number of activities with that little extra that creates a good team. 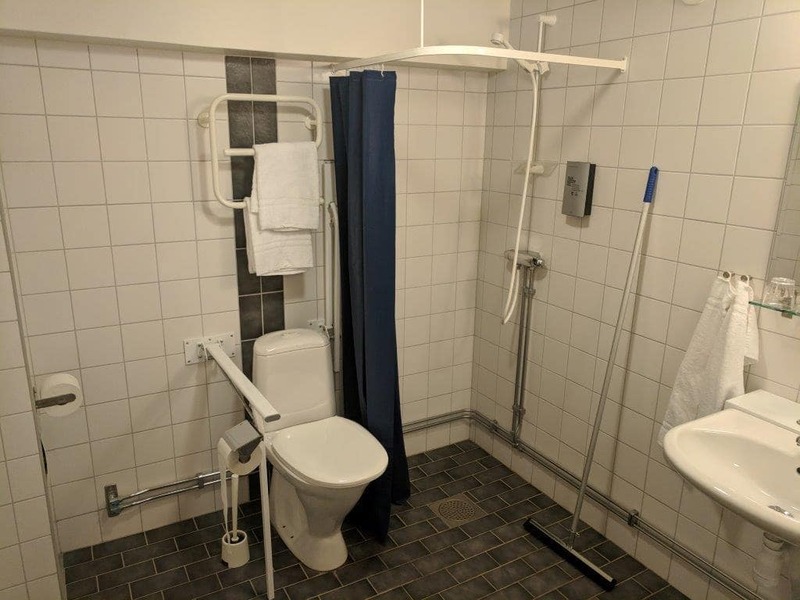 Hässlö Hotels Partnered with Officersmässen for great food and Hässlöhouse for facilities and different types of activities. 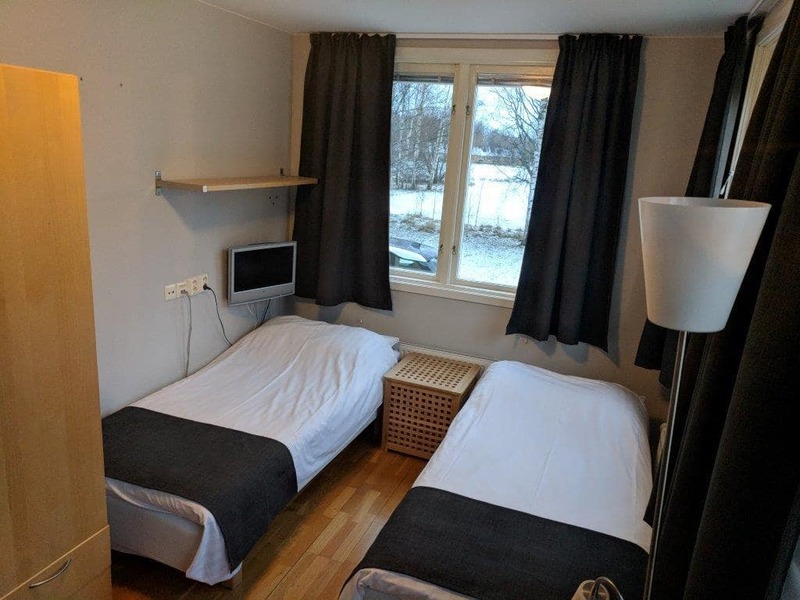 All the buildings are located in an area formerly belonging to the Royal Västmanlands Air Force Squadron (F1) next door to Västerås airport. 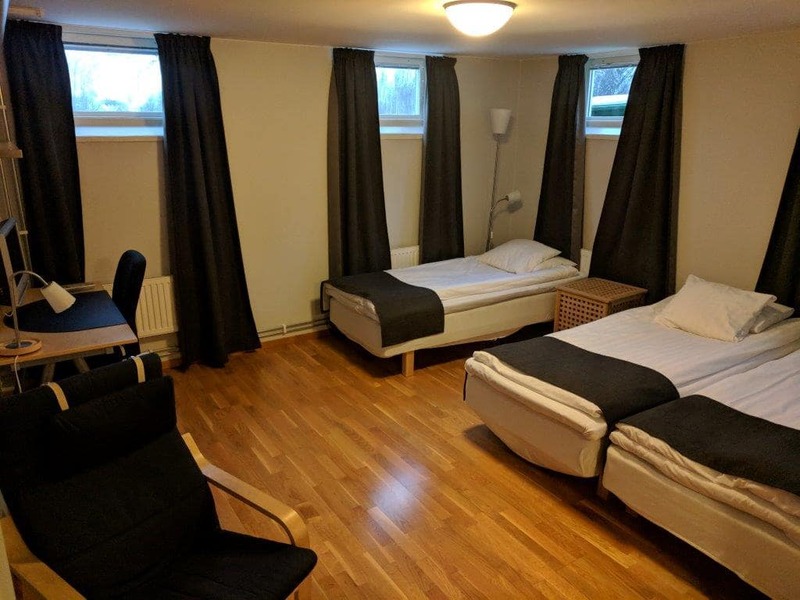 You can for example book the entire Hässlö House Relax-department (with 36 degree pool, dry sauna or steam sauna) where you can book conference in the bathrobe, staff party, hen party, birthday party, or just an evening with family and friends. 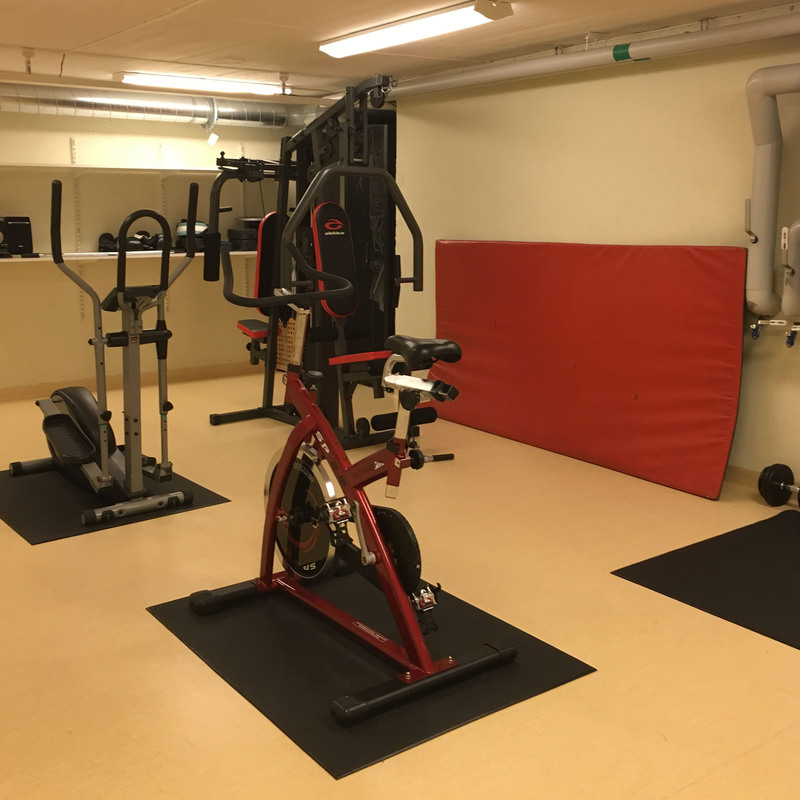 You can also choose a group workout, yoga classes or several types of treatments. As a conference guest, you always have a 20% discount on all lovely treatments. 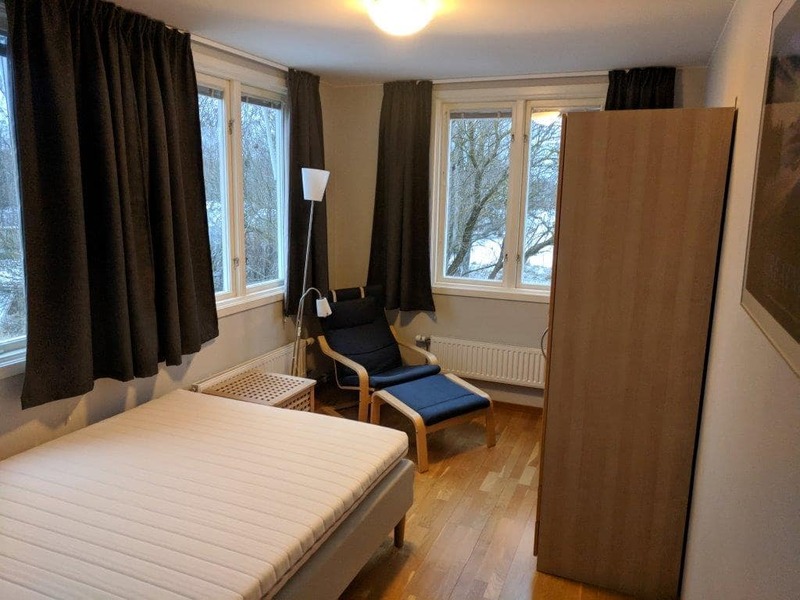 Other options includes whiskey, wine or beer tasting in Officersmässens basement; or why not visit Västerås Flying Museum or if the season allows playing golf on the short hole course that is next door. Down by Lake Mälaren there are plowed skating tracks during the winter, and the possibility to rent kayaks, canoes and more during the summer. Björnöns Recreation Area is also nearby for lovely walks. 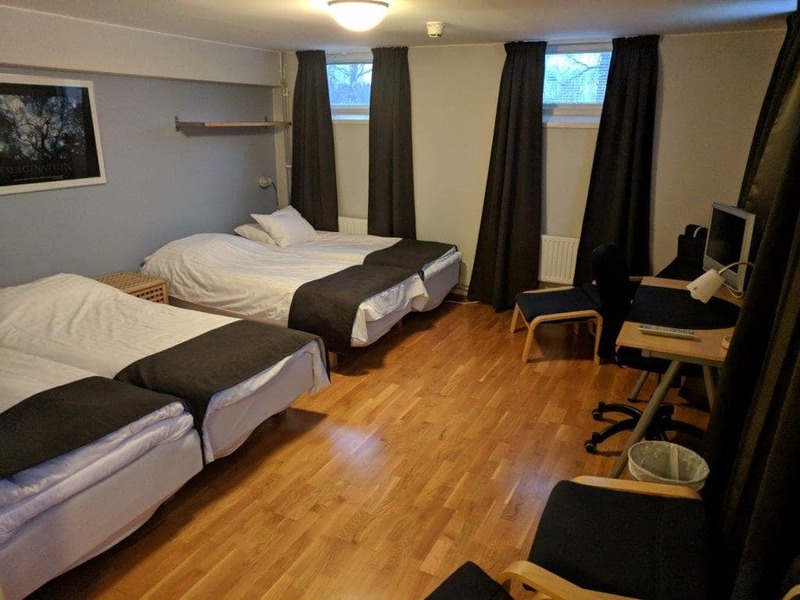 Hotell Hässlö is located in an area formerly belonging to the Royal Västmanlands Air Force Squadron (F1), where the Swedish Air Force operated between 1929 and 1983. 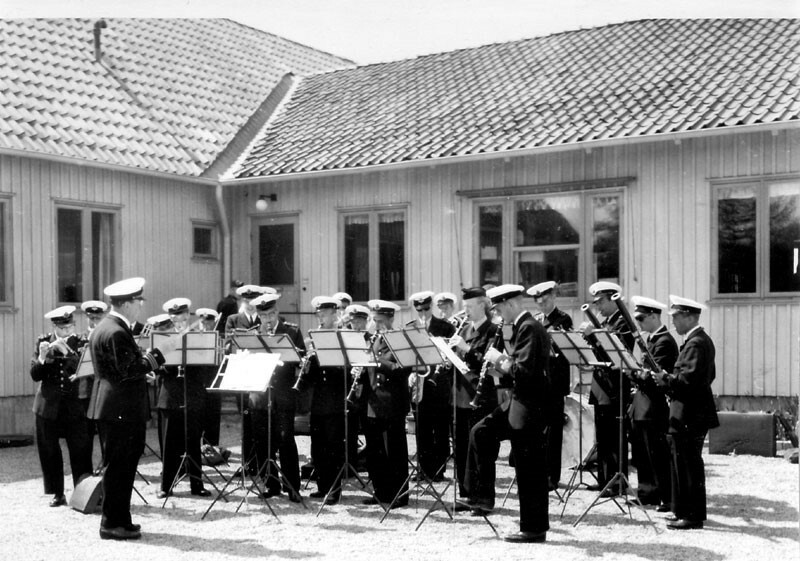 The building that today houses the hotel was built in 1946, and housed a number of services for officers and privates like café and nurses. 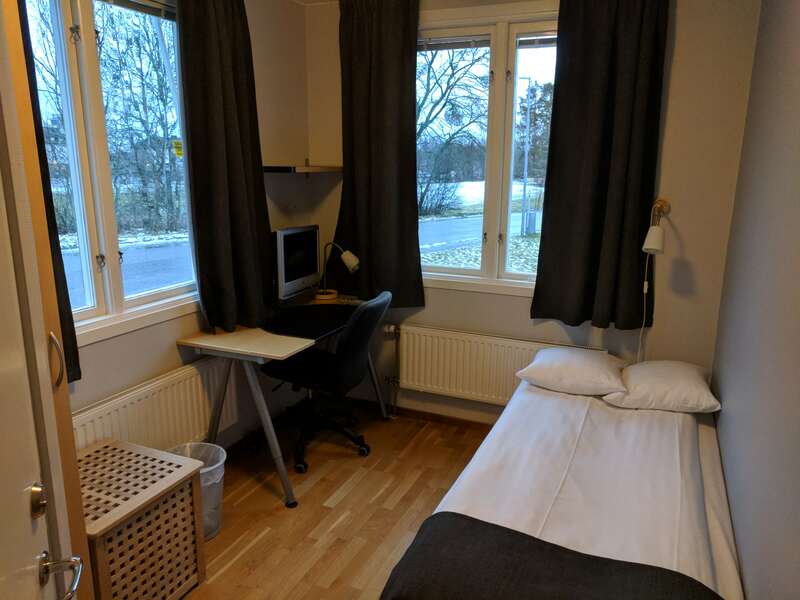 In 2007, the house was rebuilt to a hotel where the technicians working with yearly car inspections all over Sweden came to stay while do training and certifications in Västerås. 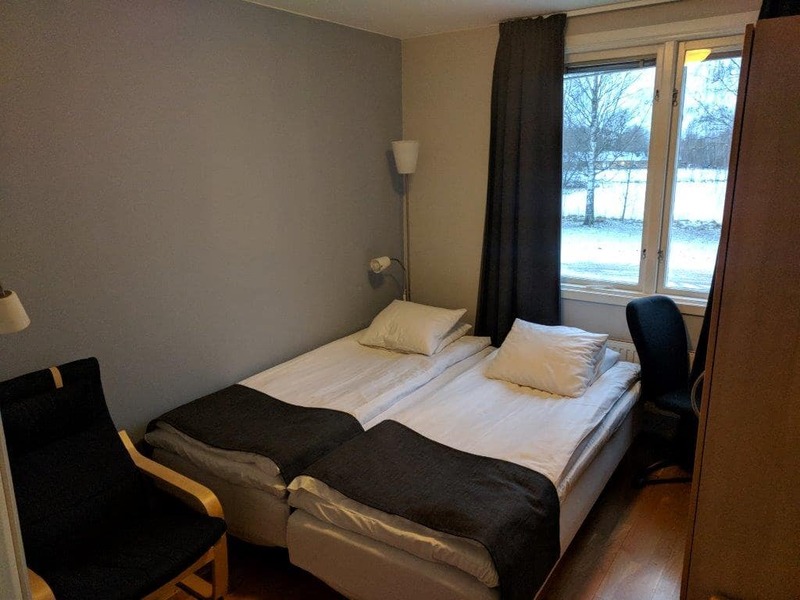 This business was moved to Arlanda in 2017 and after that the hotel has opened to the public.